In an age of technology and information, we are filled with all kinds of knowledge but we are always found wanting more. We are searching for meaning, for purpose, and for belonging in this life, and for hope for the life to come. 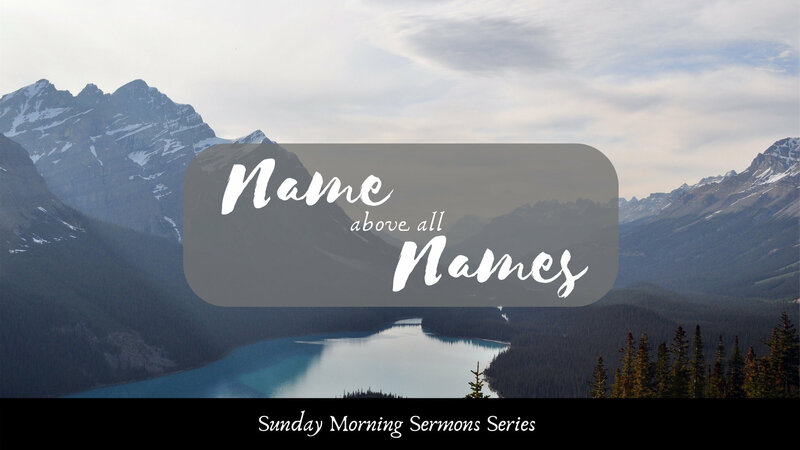 In this upcoming sermon series, "Name above all Names” we will explore the Scriptures to hear what they tell us of Jesus Christ, that we may know and grow in our understanding of who Jesus is, and all that He has done for us. Why does Paul emphasize that there is only one God? Why do we need a mediator with God? How is Christ Jesus the only mediator between God and man? What are the blessings we receive in the mediation of Christ Jesus? The rescheduled women's retreat will be held March 30 from 11:00 am-4:00 pm. If you signed up for the craft and cannot attend, please let one of the ladies know and they will return your check or tear it up. If any- one could not make it on the 9th, but can now make it on the 30th, please fill out a registration form. If you want to do a craft, you can definitely can do that.